Jessica Whitehead was never one to pass up a good time—especially if food was involved. For years she met friends every night for dinner, ordering the largest sizes and every add-on: extra cheese on her pizza, extra mayo on her overstuffed sandwiches, and a side of chips or fries with her meal. In July 2005, Jessica’s luggage was lost on a trip to France. For two days, she shopped for clothes to wear on the vacation, but it quickly became clear that none of the stores carried size 32. An entire country doesn’t even acknowledge people like me; they don’t believe people my size exist, she remembers thinking. Finally comprehending her unhealthy condition, Jessica resolved to lose weight when she returned to the States. Back home, Jessica traded her excessive eating habits for a high-protein diet, and she began reading food labels and learning portion control. She eventually joined a gym and hired a trainer, who created a program that blended cardio and circuit training. Six days a week, she walked or ran the mile and a half from her home to the gym, did her workout, and then hoofed it back. 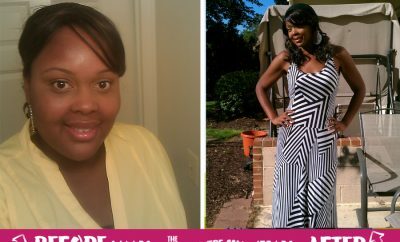 In just two weeks she dropped 25 pounds! Motivated by her results, Jessica started tweaking her gym routine every six weeks to bust through plateaus, and she also began spreading her calories out over six small meals a day. 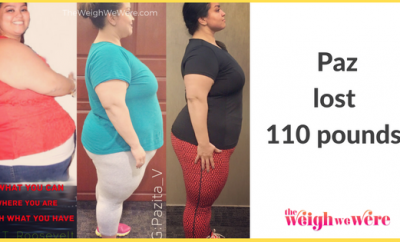 With the scale down to 190 by February 2007, Jessica began experimenting more in the kitchen, finding new ways to add veggies to her favorite chicken and fish dinners. She even had her cable turned off so she couldn’t watch TV while she ate. “I wanted to sit down and actually enjoy what I was eating,” she says. 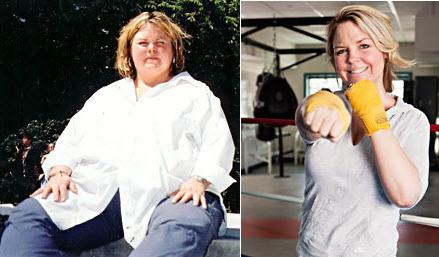 By May 2008, she was a toned 145 pounds. Today, “living large” to Jessica means hiking, rock climbing, and running 5-Ks. “I’m making up for lost time. I’m not going to waste a minute of my new life,” she says. 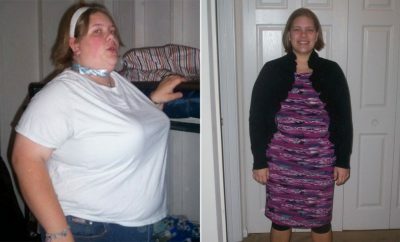 And now that she’s 200 pounds lighter, nothing seems impossible. “I’ve accomplished the one thing I thought I could never do—lose weight and be fit and active and truly healthy—so now I know I can do anything.” (Have a big goal you’d like to reach? I love to read these type of stories about real women who’ve lost real weight, just a few pounds. It is so motivational for me to keep at it too. Great job…. you look amazing. I needed to read your story today. Oh, how it encouraged my heart. What a wonderful accomplishment! You are a great inspiration. This is amazing!! 90 kgs !! Wow!!! Fantastic job! You look great!! How inspiring!! That story was very inspiring. Jessica you look GREAT!! Congrats!! This is awsome. So how are you feeling Cassondra Galbreath? I know you will, but protect you health. Did she have to have skin removed?! Amazing knock out! Well done! Wow what an awesome job!!!! 200 lbs!! way to go! !